These homemade Oreo Reese’s Fudge Brownies are thick, rich, and fudgy – just the way a brownie should be! 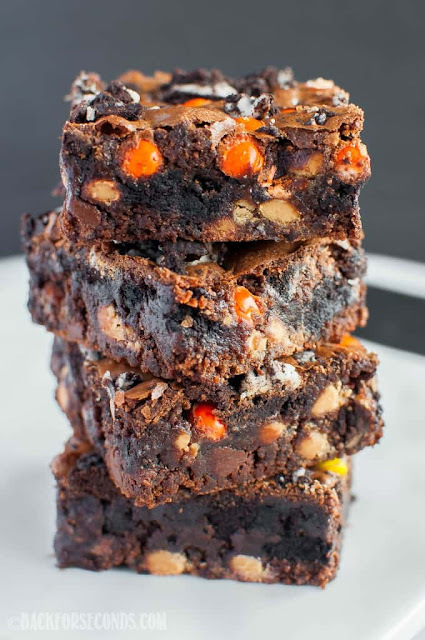 Homemade brownies are seriously simple to make, and they are so fun to jazz up with your favorite mix ins! This time we went with Oreos and Reese’s Pieces. They turned out amazing with fudgy centers and crackly tops.